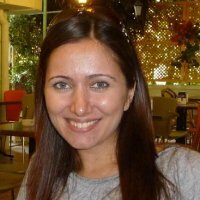 Emel Dogrusoz has been a key member of Tom Sawyer Software since joining in 2007. She began her career at Tom Sawyer Software as a Product Developer, but soon began dividing her time between product development and support engineering. In 2009, Emel managed the development of Tom Sawyer Licensing, while continuing to provide her services as a support engineer. Emel currently uses her experience and knowledge to guide Tom Sawyer Software’s Product Management and Professional Services teams. Working primarily with the company’s Products, Sales, and Marketing management, Emel helps define upcoming software requirements and software release feature sets. Additionally, Emel manages the company’s consulting projects by assessing customer needs, supervising the engineers assigned to projects and ensuring that each project runs smoothly. Emel holds Master of Science and Bachelor of Science degrees in Computer Science from Bilkent University in Turkey.